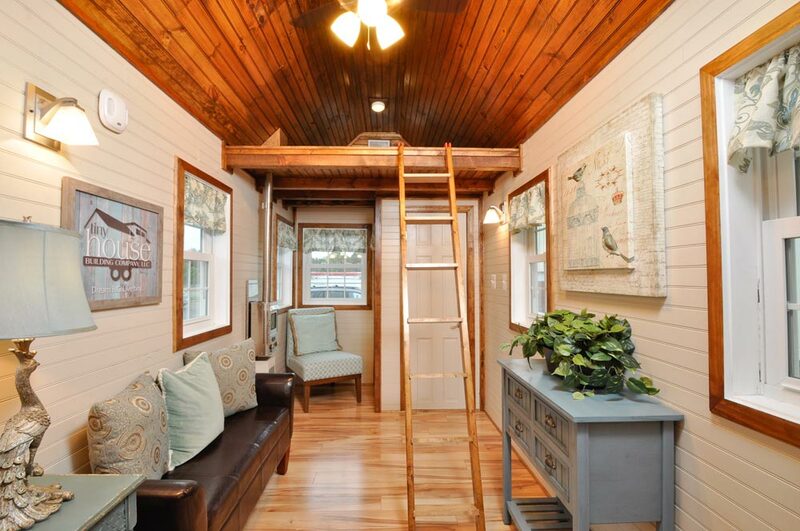 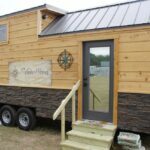 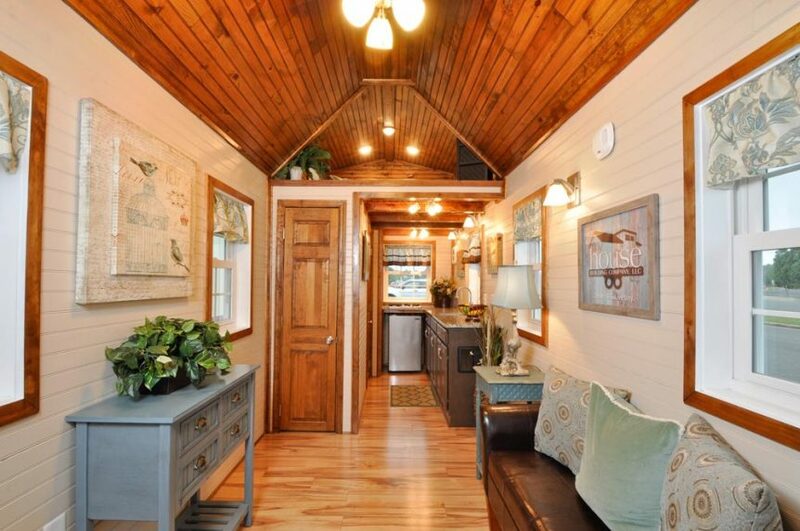 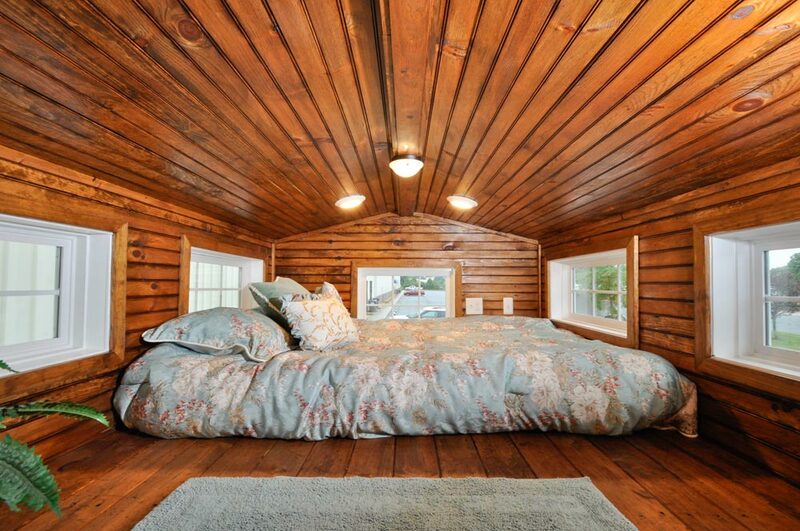 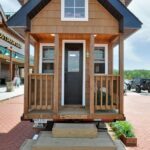 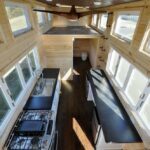 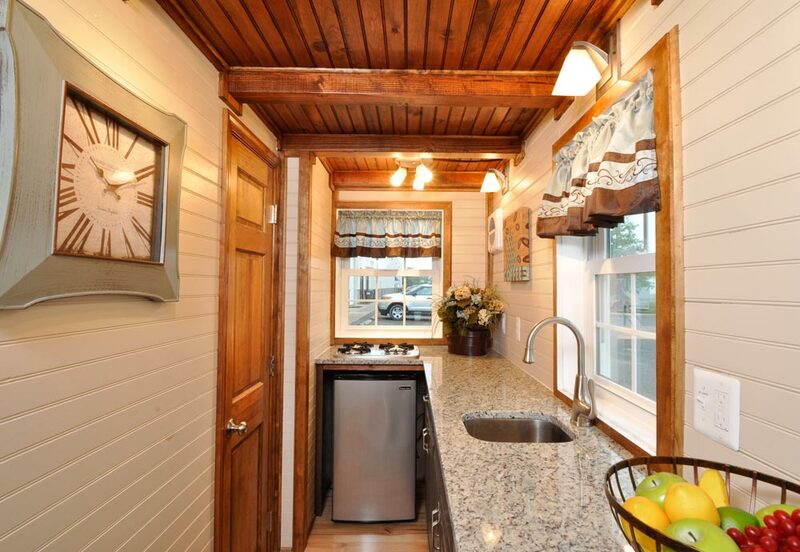 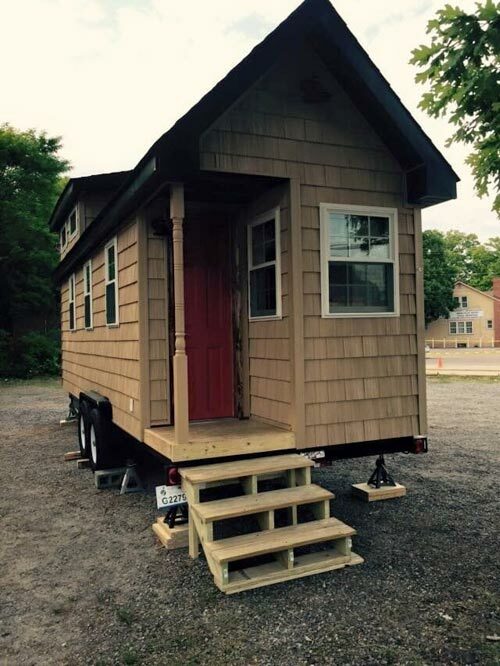 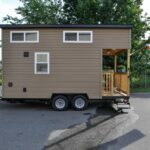 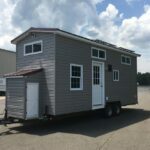 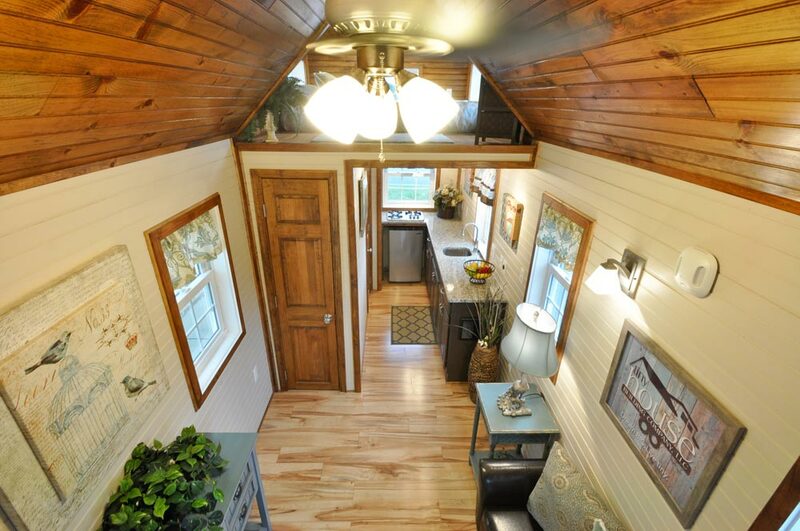 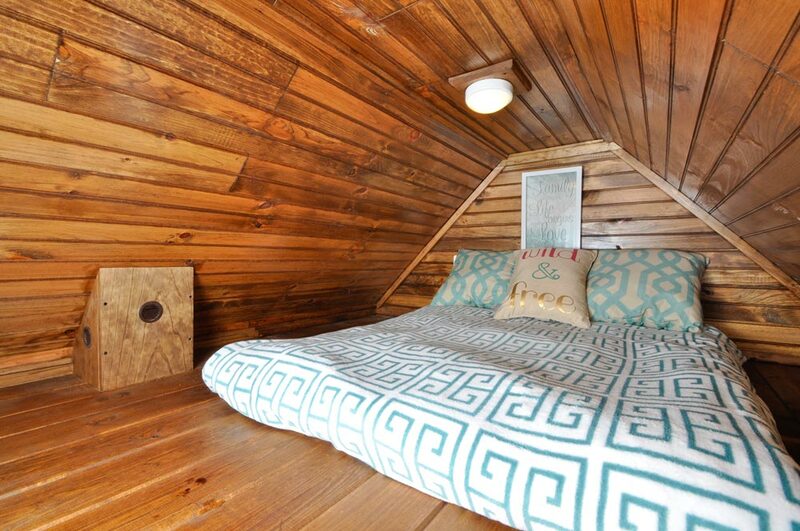 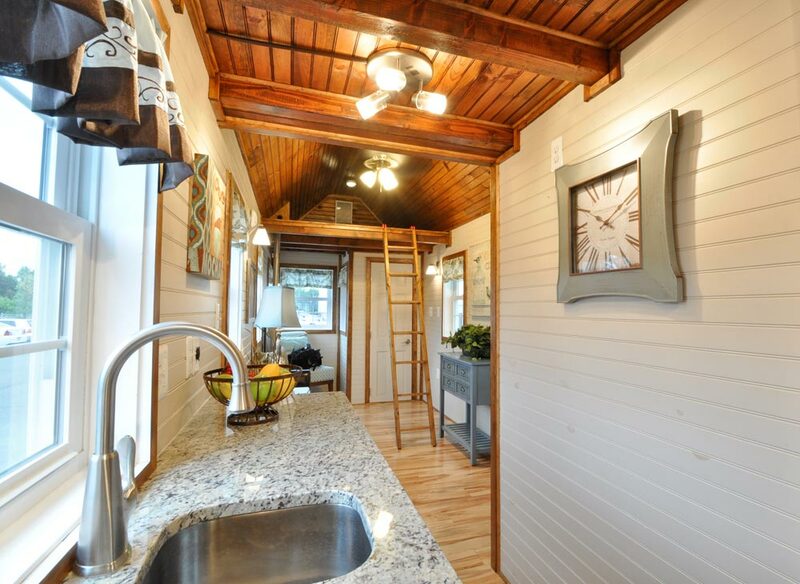 From Tiny House Building Company is the 272-square-foot Pioneer, built for off-grid living. 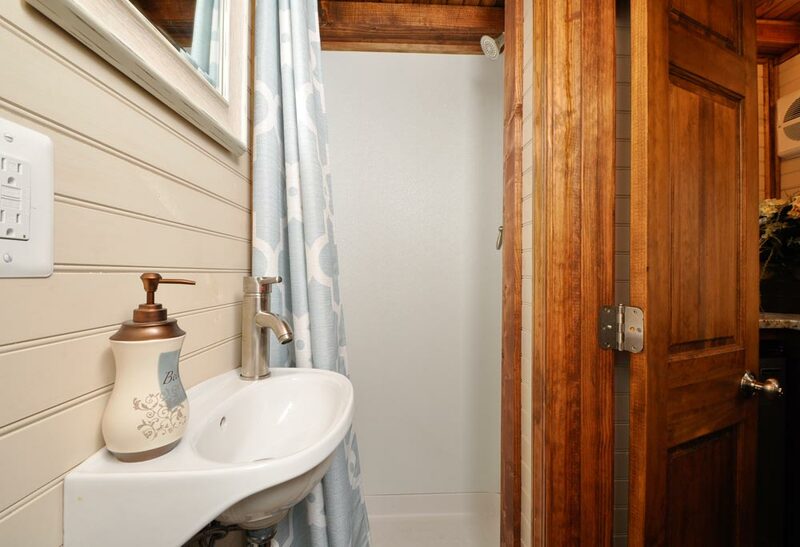 The upgraded interior finishes include custom light fixtures, white beadboard walls, stained wood window trim, and stained wood ceiling. 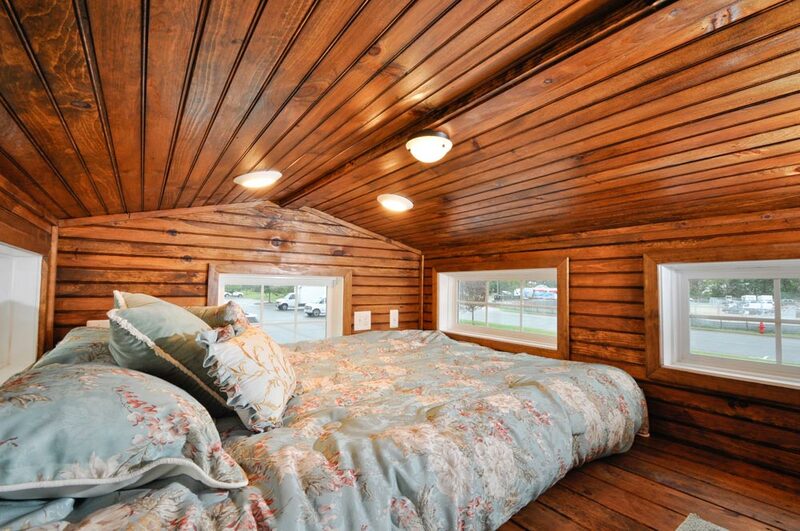 Inside the Pioneer is a king size bedroom loft with double dormers, a storage loft, a closet, and Bruce 50-year flooring with cork underlayment throughout. 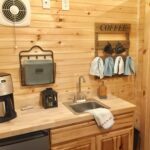 The upgraded kitchen features granite countertops, hickory cabinets, an under counter refrigerator, and a triple burner propane gas cooktop.